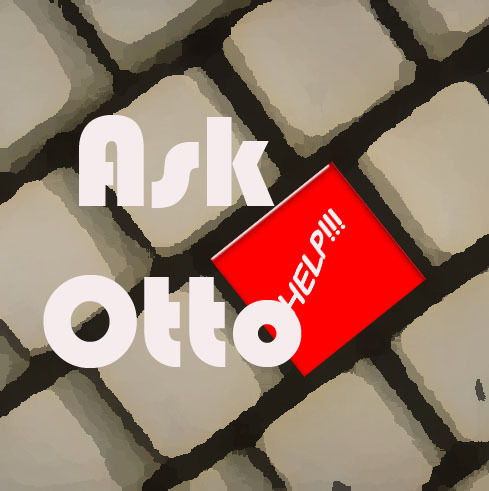 Dear Otto: Should I fix ‘Thumb clicking’? Dear Otto is an occasional column where I answer questions I get from readers about teaching tech. For your privacy, I use only first names. I teach K-5 technology. I have made accommodations for several of my students who use the mouse with their left hand (medical reasons). What about a kindergartener who insists on using his thumb to left click the mouse? Is there a reason (other than it just looks wrong!) that this habit should be corrected? Unlike reinforcing the use of proper pencil pinch when teaching handwriting, I don’t see the thumb click impeding this student’s future technique. Handwriting progresses to cursive (albeit very little time is spent developing cursive anymore) so technique is important. And I know that the mouse continues to evolve – but left and right clicking still works if my student uses his thumb and fingers. I have seen the thumb-clicking. Sometimes, it’s the fine motor skills issue of not being able to push fingers separately (on the two mouse buttons). Also, it could be from ‘thumbing’ on phones, for texting. In kindergarten, it’s probably the former. It is a habit that needs to be corrected. It’ll slow him down when he gets older and make him look awkward to peers which could embarrass him enough he wouldn’t want to use the computer. Luckily, K’s retrain easily. Just keep reminding him. Gently change his hand hold. Ask his classroom teacher and parents to join your crusade. He’ll get the message. Have him practice the correct way with the fun websites below under ‘More on mouse skills’. One thing to do first: Check with parents to be sure there isn’t a physiologic reason why he’s doing it the way he is. If he has Juvenile Arthritis (which he probably doesn’t or you’d see it in other joints or parents would advise you), that can affect the flexibility of his hands, as can other diseases. Having that conversation subtly with parents will also give you the opportunity to engage them as your partner in fixing this issue. Good luck! I’d love to hear how it works out. For some great ideas on how to teach mouse skills, check out Internet4Classrooms and these Mousercise lessons over at iLearn.